External Bass Control for use with older XThunder Series MTX amplifiers 1000XD, 600XD, 300XD, TH series monoblock amplifiers (1200.1D, 650.1D, 350.1D), and RT Series monoblock amplifier (RT1000D, RT500D, RT250D). 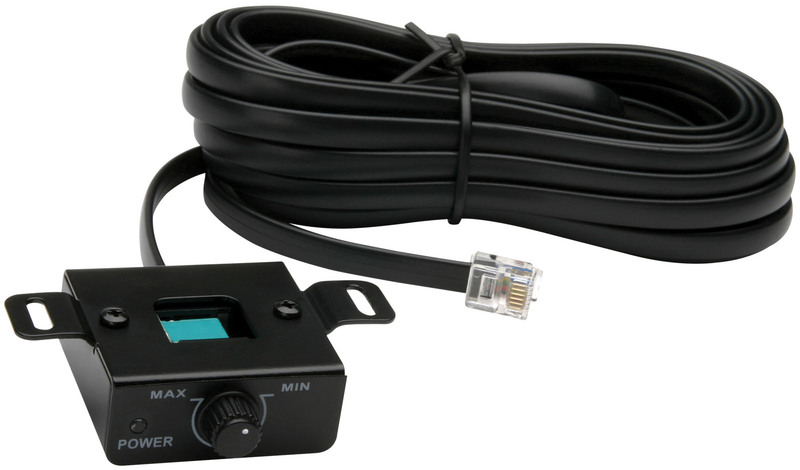 See more information about External Bass Controllers at External / Remote Bass Controls. External Bass Control for use with older XThunder Series MTX amplifiers 1000XD, 600XD, 300XD, TH series monoblock amplifiers (TH1200.1D, TH650.1D, TH350.1D), and RT Series monoblock amplifier (RT1000D, RT500D, RT250D).